Noticeably, one of the stadiums holding the tournament is installed with CCGrass product Prime SM. Prime SM is composed of monofilament fiber in a wave-like shape that possesses natural sliding properties. Its tricolor surface gives the product a natural appearance. The high quality of Prime SM guarantees that the players can slide, sprint, pass, and turn freely on the surface. It is not the first time for major football events to choose artificial grass from CCGrass. CCGrass products are also found in other similar events such as FIFA U-17 World Cup Chile 2015 and FIFA U-20 World Cup New Zealand 2015. As a FIFA Preferred Producer, CCGrass is dedicated to providing quality synthetic turf field solutions worldwide. Sports in Southeast Asia are developing hand in hand with the rapid economic growth of the region. Football, hockey, and many other sports manifest great potential for further development and popularization, and CCGrass will continue to offer excellent sports field solutions to serve the Southeast Asia market. 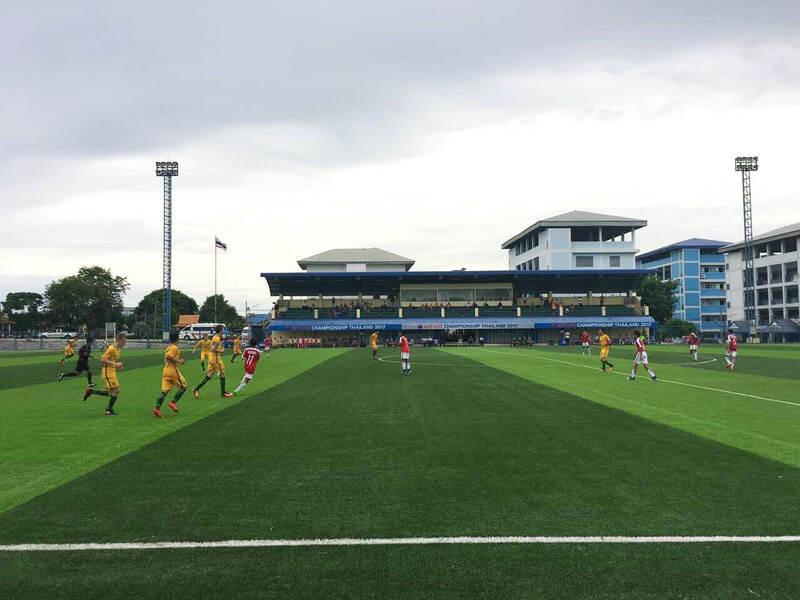 The AFF U-15 Championship Thailand 2017 witnessed a smashing first three days, and on the pitch with CCGrass artificial grass, young players of each team showed great performance, heralding a great success of this edition.